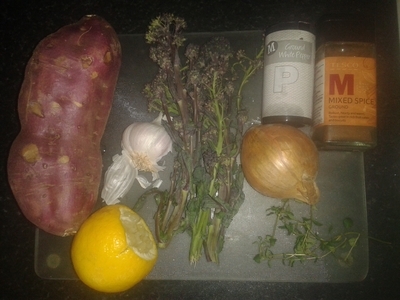 An equally balanced and exciting meal is hard to create at the best of times, but with a few ingredients you can create something wonderful, which all of your family will love. 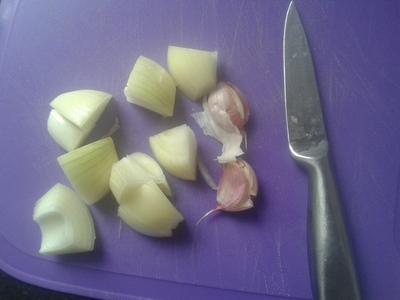 Chop the onion and crush the garlic. 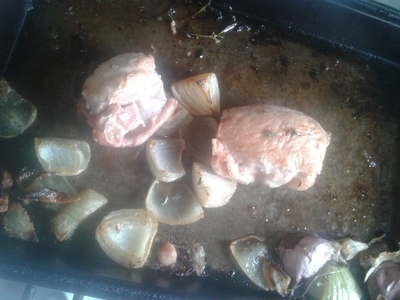 Add the chicken thighs and seasoning and coconut oil to a baking tray. 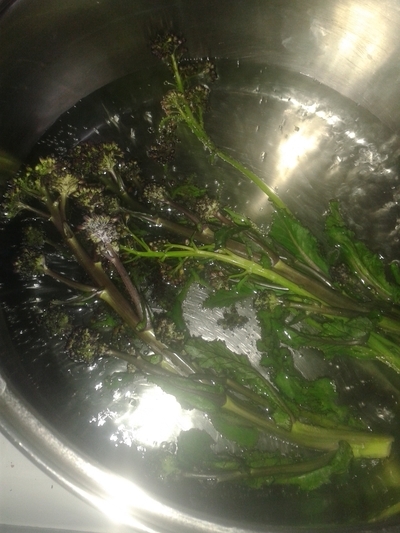 Place the broccoli in a saucepan and simmer for 10 minutes. 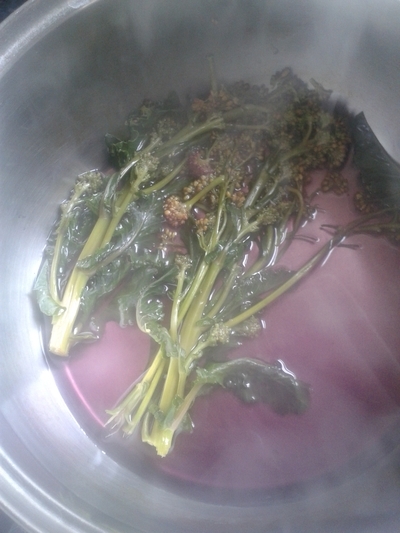 Once the broccoli has cooked, the water it has been simmering in should be purple (kids love this!). 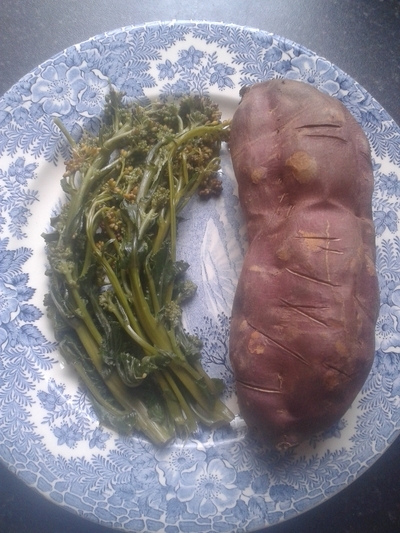 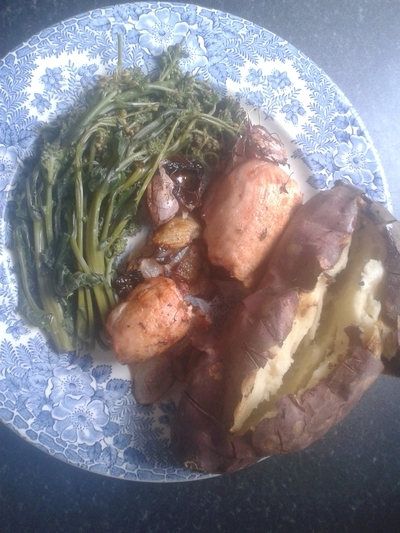 Remove the sweet potato from the oven and plate up alongside the broccoli. 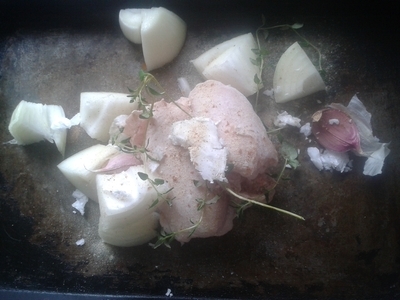 Add the chicken to the plate, sandwiching it between the potato and greens. 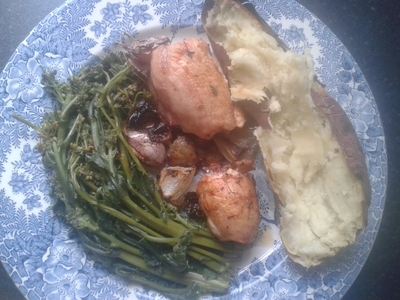 I've halved the sweet potato because it was too much for my niece to eat, but this would otherwise serve a growing teenager.